Moulded plastic handles and slip guards. Hardened and tempered jaws with induction hardened cutting edges. 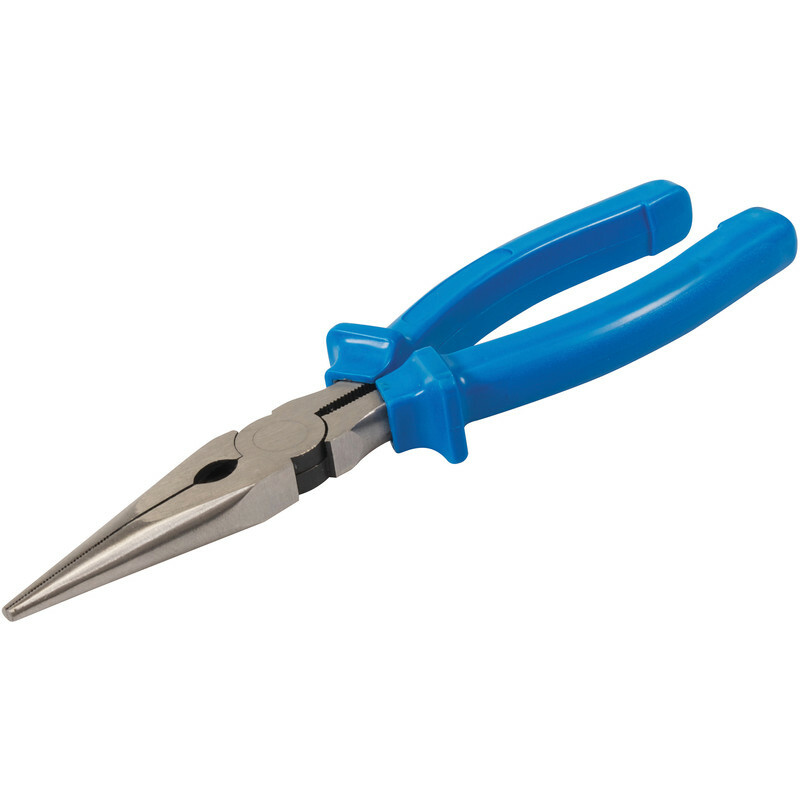 Long Nose Pliers 200mm is rated 4.6 out of 5 by 5. Rated 5 out of 5 by Chally from Great tool Does what its supposed to and a very reasonable price. Very happy with my purchase! Rated 5 out of 5 by ColinB897 from Excellent quality for the money. Decent size in the hand. Strong construction. Well finished. Precise in use. Will last a lifetime of DIY use. Rated 5 out of 5 by DIYLew from Perfect small pliers for everyday jobs I have some pretty old worn out pliers so it was time to treat myself to some new ones. I looked around and saw many alternative for a lot more money. Of course if I was working on high voltage systems, I would buy the best insulated ones. But for my day to day use, these 160 mm long nose pliers were just what I needed and they have already been used a lot! I am not considering getting a pair of even longer nose pliers and I will definitely check out ToolStation's products. Rated 4 out of 5 by FerringFerret from I tend to take a pair with me wherever I go. Always take on holiday to fix things as you never know what to expect. Rated 4 out of 5 by Stompin from Great for the price No nonsense good quality pliers as always Toolstation are the cheapest all round supplier!